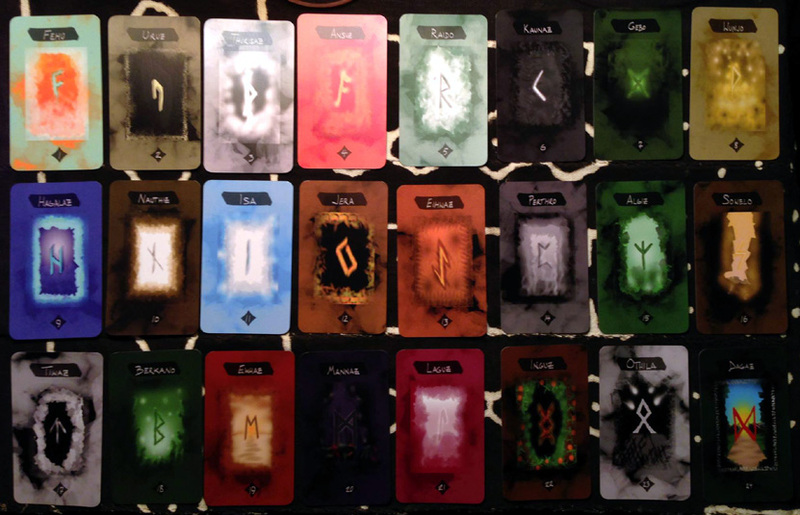 Runes (£10) – Younger and Elder Futhark Runes made by RavenCraft Creations, with black velvet drawstring pouch and guide notes. 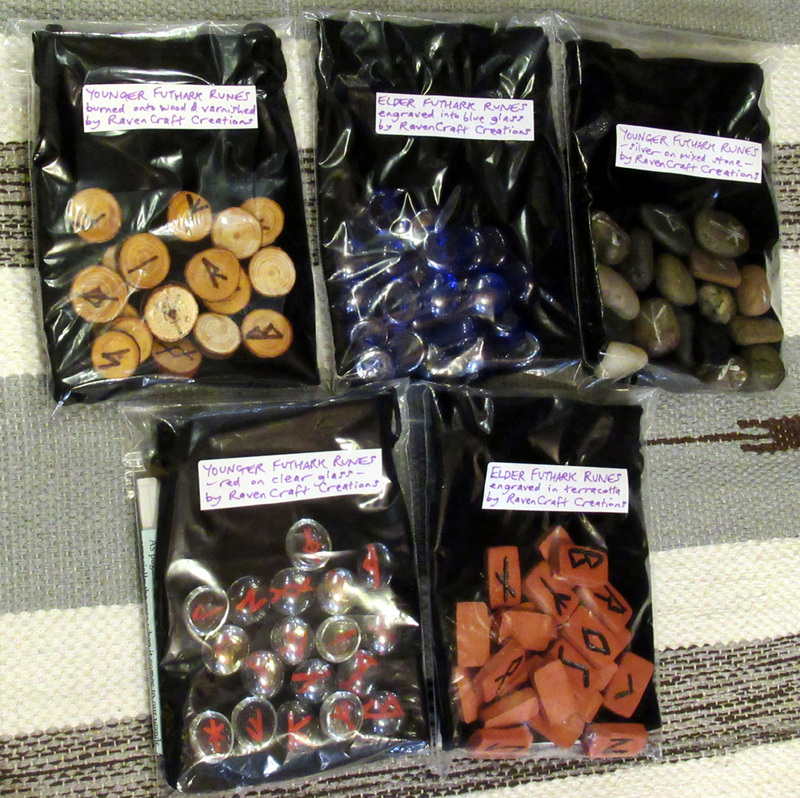 Available in various mediums: burned onto wood and varnished, engraved and painted on glass and terracotta, and painted on mixed stones. 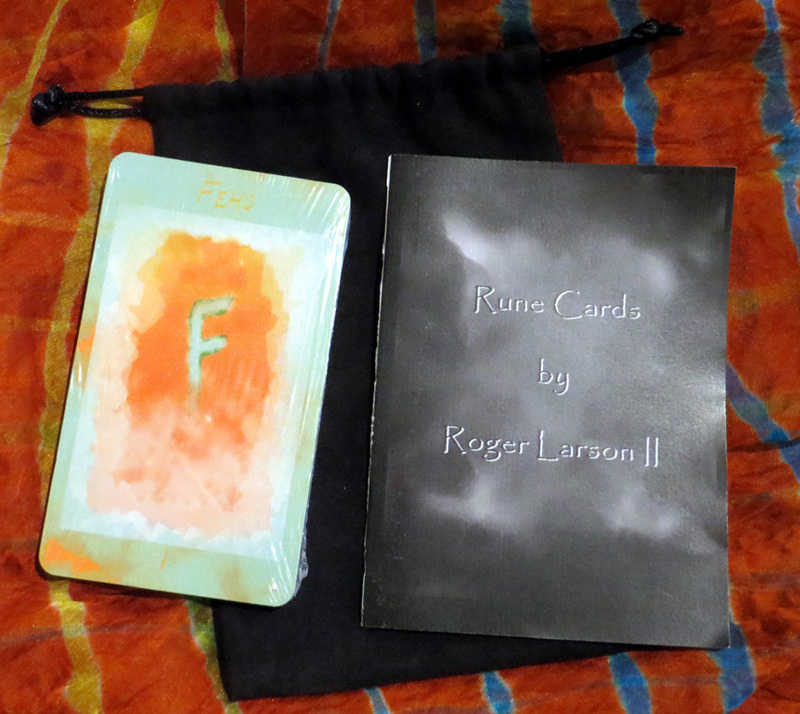 Elder Futhark Rune Cards (£20) by Roger Larson II, Accelerated Consciousness Guide and Intuitive – 24 exquisitely hand-designed cards, for insight and meditation; with bag, booklet and instruction card; based upon the 24 runes of the Elder Futhark Alphabet used by the ancient Norse and Germanic tribes for protection, healing, blessings, divination and writing.